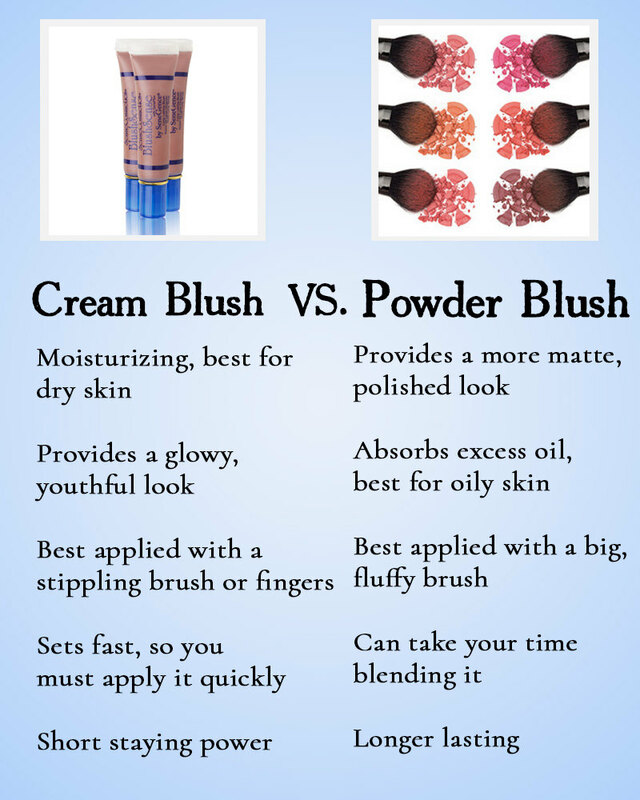 Cream Blush vs. Powder Blush - Which is Right For You? In the makeup world, there are a lot of choices. 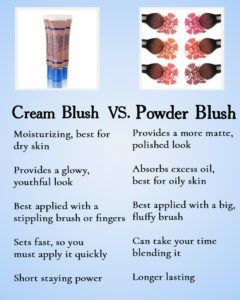 From brands, shades, formulas, products, and even packaging, it can be overwhelming to choose from such a vast spectrum…which is why I’m here to help, specifically on the topic of cream blush vs. powder blush. By covering finish, uses, skin types, as well as some of my personal favorite products, I’ll assist with finding which option is right for you. First, let’s start with a texture comparison. While I believe anyone can wear either option, what matters is when to wear them. Personally, I love wearing cream blush in the winter, as it provides a natural, more hydrated look – but in the summer, cream blush can be a little too oily, which is when I opt for powder blush (both on myself and clients), as it retains some of the oils emitted from skin and provides a soft, elegant finish. Next is use. 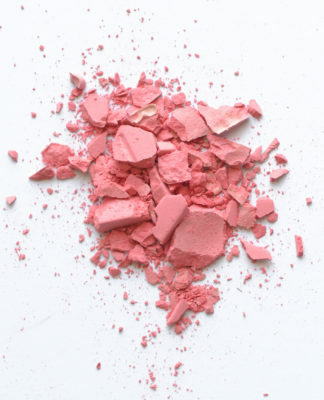 Powder blush can typically be applied on the cheeks, lightly on the nose, and even as eyeshadow; whereas cream blush can be used in these same places, but double as a lip color. On days when I just can’t find the *perfect* lipstick shade to complete a look, I like to use cream blush on the lips for a subtle, feminine finish. An important element to also mention is age; some tend to think that blush can be “too young” for more mature skin – this is not the case! It can be flattering and enhancing at any age, and for all skin types. The key is the brand’s formula, how much product you use, and where you use it. 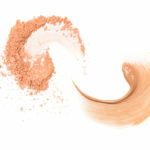 Another factor that may influence which blush is better for you is your skin type. 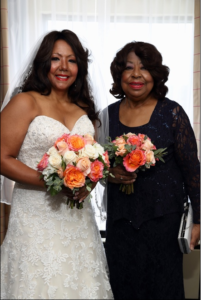 The secret to choosing the perfect blush is this: if you find your skin drier or more mature, I recommend cream blush to add a little oil and “dewiness” to your look. If your skin tends to be more oily, I recommend powder blush to absorb some of the oils and avoid making you feel greasy, which cream blush may do. Remember: this is just a suggestion! There are no rules to makeup…until you’re 40; that’s when the makeup rules change, which I’ll address more in a future blog post. Finally, my personal favorite Powder blushes: BenNye matte, LaFemme Pigment, and MAC Cosmetics (a classic!). My favorite Cream blushes: SeneGence BlushSense (which you can purchase here), MAC Cosmetics (Crème Blend), and Tarte Cheek Stain. The best brushes I recommend for application are the Cream Blush Brush from Sonia Roselli, as well as any angle brush, if used correctly. Other current top-rated blushes are Wet N Wild, Bare Minerals, Too Faced, Milani, NARS, and MAC Cosmetics; with each brand carrying a wide array of colors and formulas, the possibilities are endless! Still wondering about blush and/or other makeup-related questions? Send me a message or leave a comment below and I’d be happy to answer your question(s), or schedule a consultation or private makeup lesson.